There’s many reasons why Marty Walsh should get your vote on election day, but right now I want to focus on the biggest reason…. John Connolly. Yes, I’m about to pick on this guy and nobody can stop me. 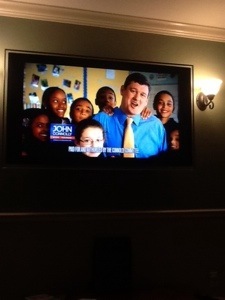 Have you seen the way John Connolly tilts his head when he talks? WTF is that? I don’t want a mayor that resembles the RCA dog when he addresses the city. I’m not really a fan of West Roxbury either. Over the years I have found it’s residents to be a bit snotty. Lots of spoiled jock dbag types that run in the opposite direction when trouble breaks out. I wouldn’t expect one to have my back in a fight nor would I expect it if one became mayor. It’s like a bunch of Irish folks that forgot we got off the same boat 140 years ago. If I was mayor, I would just sell the entire thing to Brookline and call it a day. It’s a win win, Brookline gets more tax base, West Roxbury residents can keep being elite, and JC can put his daughter in another school. I’m sick of him acting like he knows everything about poor neighborhoods based on his kid going to school in Roxbury anyway. It’s quite simple, if Shooter McGavin and Jerry Mathers had a baby…it would be John Connolly. My dad made a great observation the other day. He said JC reminded him of a kid for St Peters that ratted out all the other kids in class to get in good with the nuns. Well played dad! 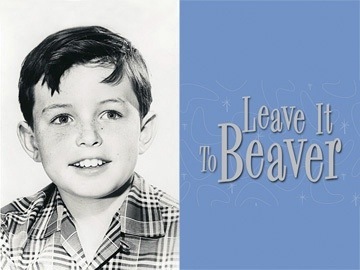 Don’t let Mumbs leave the mayors office to Beaver!